Enter Enrollment Number, Name, Father’s name etc., click on to submit button. Download the scorecard and keep it till the admission process is over. NID 2019 Result Availability: Students can view their NID 2019 results on 2nd May 2019 from the official website of NID. NID 2019 Scorecard: The NID 2019 results will be uploaded to the official site of NID. On the basis of DAT score, student’s NID merit list will be prepared. NID 2019 Merit list: The NID 2019 merit list will be prepared on the basis of the NID result for all the categories (General, OBC-NCL, SC, ST & PWD). Next Round: Shortlisted candidates will then have to appear for a NID studio test and the personal interview round. The final NID merit list will then be prepared on the basis of the entrance exam(DAT), studio test, personal interview, and will be declared in the last week of May 2019. 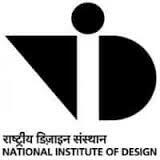 The NID 2019 merit list generated will be on the basis of marks obtained by the candidates in all 3 tests, that is DAT, studio test and personal interview. Official Website: Go to the official site of NID to view the results. Link: Click on the link that leads you to the NID results page. NID 2019 Login Credentials: Fill in the required details like enrollment no, name, father’s name etc on the results page. The score secured by the last candidate in the first NID merit list which is prepared on the basis of the NID results of the entrance test will be considered as the NID cut-off score. What is the NID cut-off score? The score secured by the last candidate in the first NID merit list will be considered as the NID cut-off score. There are different cut-off scores for the reserved categories.